The second media day of the 2018 New York International Auto Show is winding down and once again, we did not get to meet the next Ford Mustang Shelby GT500 – and that could signal a long wait until the 700 horsepower pony car is introduced. 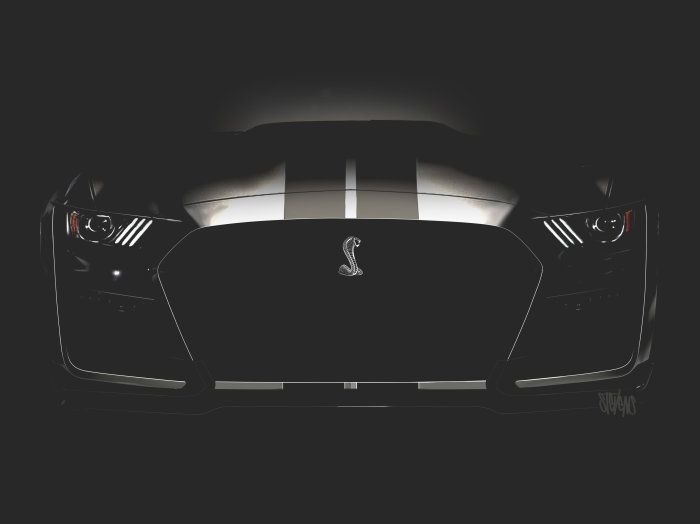 We know for sure that Ford is working on a new Shelby GT500 Mustang and we know that it will have at least 700 horsepower – we just don’t know when it will be introduced. New York is the last major auto show during the early portion of the calendar, and after being teased at the Detroit show in January, it seemed likely that the newest high performance Mustang would debut in either Chicago or New York. That didn’t happen, and now we might be waiting until the Los Angeles show in November to meet the new GT500, unless the Motor Company picks an event like the Woodward Dream Cruise or a standalone function specifically for the debut of the most powerful Mustang ever. Whenever Ford introduces the next generation of the Shelby GT500 Mustang, we can expect that it will be a pretty big deal. In addition to being the most powerful Mustang ever, the new GT500 will be Ford’s most powerful road car ever, even if it “only” has 701 horsepower (because the video promised 700+). I expect that it will be in the area of 725 horsepower, but that is purely a guess. In any case, it is going to be a whopper of a performance car, so the company isn’t going to just quietly introduce it at a tiny auto show with no media attendance. The company is going to want as many eyes and cameras on the debut as possible, which is why most people expect it to make its formal introduction at an auto show like Detroit, Chicago, New York or Los Angeles. However, Detroit, Chicago and New York have all been GT500-free, leaving only the LA show which starts in November. That is definitely longer than many people expected to be waiting after the company teased the new Mustang in January, but there is a chance that we will meet the supercharged machine sooner. While this seems far less likely, Detroit’s Woodward Dream Cruise is one of the biggest annual automotive events in the country and with the muscle-heavy crowd, perhaps the legendary cruise could play host to the debut of the new GT500 Mustang. The Dream Cruise is in August and Ford always has one of the biggest and most prominent displays, stretching for more than a mile along 9-Mile Road at the Woodward intersection. Introducing the new GT500 along Woodward would most certainly put it in front of a massive crowd of American performance car enthusiasts, but the Dream Cruise doesn’t draw the media crowds like the major auto shows. Less media coverage makes Woodward seem like a less-popular choice, but we should keep in mind that back in 2014, Dodge introduced the Hellcat Charger at a small media function a few days before the Dream Cruise, followed by the public debut of the 707 horsepower sedan on the day of the Cruise in their huge corporate display at 13 Mile and Woodward. It isn’t likely, but it is possible and it has been done in the past. The other key option that would prevent us all from waiting until Los Angeles to meet the next GT500 Mustang would be an event held specifically for the debut of the most powerful Mustang ever. Recently, several high profile vehicles have made their formal debut at their own private event, including the new Dodge Demon and the C7 Corvette Stingray. The key difference with each of those events is that they were held immediately before a major auto show, so there were plenty of members of the media on hand for the event. If Ford hosts a private debut event for the new Shelby GT500 Mustang, the company will incur far more costs in making sure that they have as many media members there as possible. This route would allow them to bring in more enthusiasts, but in the end, it will cost far more than an auto show-based event. The bottom line is that the New York debuts have been debuted and there is still no Ford Mustang Shelby GT500 to ogle, so we have to keep waiting – we just don’t know how long we have to wait.